The major oil marketer’s unaudited report for the third quarter ended September 30, 2017, which was submitted to The Nigerian Stock Exchange on October 30, showed that the company’s turnover increased by N6.28 billion; from N63.95 billion in 2016 to N70.23 billion. The company’s performance is commendable in view of the tough operating environment the downstream segment of the nation’s oil and gas sector has been battling with since the beginning of the year. 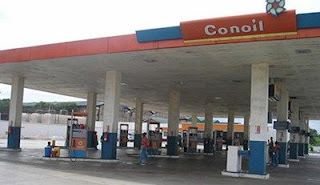 Conoil’s gross margin also moved up from N9.5billion in 2016 to N10.57billion in the period under review. Despite the non-payment of huge Petroleum Support Fund (PSF) owed major oil marketers by the Federal Government, the company still recorded profit before tax of N2.03billion in 2017 against N2.72billion recorded in the preceding year.